Dish TV claims to be the first DTH brand to do away with HD access fee, providing access to popular HD channels across its subscriber base. Direct to home service provider Dish TV today announced the launch of its HD for all initiative today in a bid to bridge the gap between SD (standard definition) and HD viewership in India. The initiative was in line to remove HD access fees levied on users for viewing HD versions of channels. 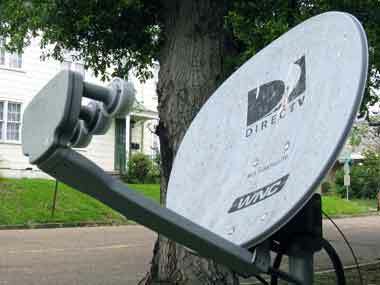 As a part of the HD for all initiative, Dish TV claims to be the first DTH brand to do away with the HD access fee, providing access to popular HD channels across its subscriber base. The move follows Dish TV's 'Mera Apna Pack' launch which allows customers to view HD channels at a base rate of Rs 17 per channel, exclusive of GST. The move by Dish TV ensures that viewers can now view HD channels for popular packs starting as low as Rs 169 per month, excluding taxes. Dish Tv also announced the launch of its new cardless set-top-box called the DishNXT HD. The new STH along with being cardless also comes with a new interface and support for multiple languages. Following the announcement, Group Chief Executive Officer for DishTV, Anil Dua said, "With a sharp focus on HD, this move aims at bridging the gap between the SD and HD subscribers and taking away the inhibitions involved in switching from SD to HD." The company stated that with a current number of 12.8 million HD households in the country, DTH companies aim to increase this number to 25-30 million HD subscribers in the coming five to six years, with the adoption of HD being a major step towards achieving it.